Parent partnership is one of the many strengths of Westridge. Parents add a vibrant sense of family to the Westridge community. There are many opportunities for involvement, both great and small - from driving field trips in the Lower School, attending athletic events, to serving as a member of the WPA Executive Board. Supporting an inclusive community is a priority for Westridge and the WPA. All families are welcomed and valued in our Westridge community. Parents are valuable sources of wisdom and talent who serve the school in many ways. There are many ways to become involved, including serving as grade level representatives, organizing the Yam Festival and Summer Opportunities Fair, chaperoning Lower School field trips or Middle School dances, or sharing areas of expertise as a guest speaker. Parents are also invited and encouraged to attend school events, including athletic events, musical and drama performances, and parent gatherings. 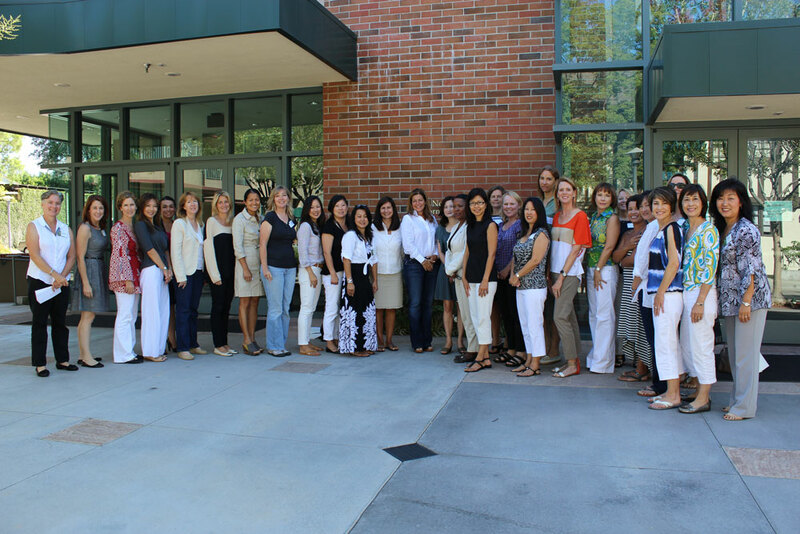 The Westridge Parent Association (WPA) provides volunteer opportunities where parents can share their talents and expertise and support school activities. The WPA promotes a sense of community among parents, students, and the school. Parents of all enrolled Westridge students are members of the WPA and are welcome at all meetings. WPA meetings take place on campus throughout the school year and feature speakers who provide a forum for discussion of issues pertinent to the education and parenting of young women. Through WPA activities, parents provide valuable support of annual events such as the Summer Opportunities Fair, Yam Festival, and other school activities supporting athletics, drama, and music. The parent-run Tiger Tail Boutique, Used Uniform Sales, and Lower and Middle School Parent-Daughter events remain favorites among parents. The WPA has an Executive Board that meets monthly. Grade level representatives and committee chairs make up the core of the leadership team. Parent volunteers are needed throughout the year to support various events and activities. To learn more about the parent role in the Westridge community, please review the Student/Parent Handbook. The WPA has established a Multicultural Parent Collaborative (MPC) and a Dads’ Club to further inclusivity. The MPC addresses issues within a diverse community, establishing greater communication and understanding among our families and the school. One of the special objectives of the MPC is to provide parents of different cultural backgrounds and native languages with a supportive community to help them understand and support their daughter’s Westridge experience and to engage in school life. The goal of the Dads’ Club is to enhance the involvement of fathers in their daughter’s school life and provide a comfortable environment for dads to connect with one another and find a place in our community. Westridge provides educational opportunities for parents to explore their daughter’s relationship with learning and to better understand their developmental growth. Through the Let’s Talk meetings in Lower School, and through Middle and Upper School parent evenings, the division directors and student support team discuss the developmental stages and needs of girls, the academic and extracurricular programs, and the social and emotional lives of pre-teen and teenage girls.